This purchase contains 24 “I have…who has…” cards for rounding up to the nearest hundred thousand. 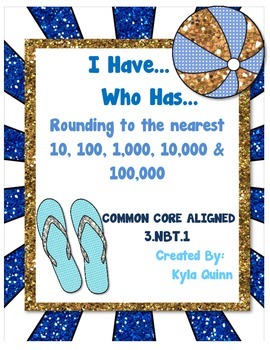 This activity is perfect for small group instruction, center activity, or whole class review. 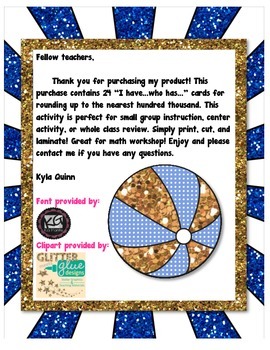 Simply print, cut, and laminate! 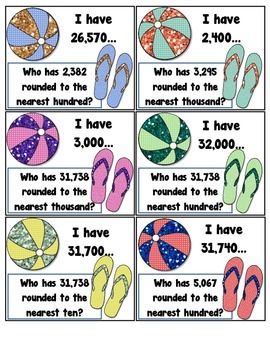 Great for math workshop! Enjoy and please contact me if you have any questions.